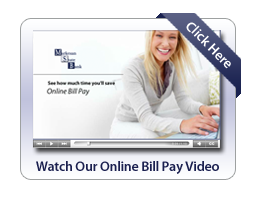 Markesan State Bank has introduced an enhanced version of our current online bill pay service. * CheckFree offers many new benefits and features to help you save time and money! -Search for Vendors. Add new vendors simply by typing in the company name. If a match is found in the database, the vendor's information will be added automatically. No more hunting down mailing addresses! Simply enter your account number and add your bills to be paid. -Schedule payments by the due date. You can now enter the date you would like your vendor to receive your payment, and we take care of getting it there on time! -Keep your money with you. Your money will remain in your bank account until the day you select the payment be made to your vendor. -Set up reminders. Never make a late payment again! When you set up reminders, you'll receive a message telling you when your payment is due. -Pay from multiple checking accounts. Choose which checking account to pay your bills from. -Make recurring payments. Eliminate the hassle of paying your monthly bills by setting up recurring payments. This is a great option for payments that don't change from month to month, such as your car payment or mortgage. -See it all at a glance. The Payment Center lets you make payments and view pending payments, recent payments, and bill reminders all on the same screen. CHECKFREE IS NOW AVAILABLE. - Sign up by logging into your Online Banking Account. If you have more question about this service, call or visit any of our four convenient locations. Tutorials are also available for CheckFree Bill Pay and PopMoney at the top of this page. If you are having a problem with CheckFree or an issue with a payment PLEASE call the CheckFree Customer Service Number, (855)-877-4158. Business hours are 6:00 am to 12 am, 7 days a week. **Service fees apply for Pop Money. See Fee Disclosure for current service charges.